There have been calls for the redshirt freshman quarterback from San Juan Capistrano, California, all season long. After each Tanner Lee interception, they grew louder, each loss, more frequent. Those calls will likely be answered Saturday when the Huskers take on No. 13 Penn State and Patrick O’Brien makes his first start of his career. Season-long starter Tanner Lee is in the concussion protocol after leaving last Saturday’s 54-21 loss to Minnesota at halftime. There’s hope he might be cleared later in the week, and if that’s the case, Lee would play regardless of the amount of preparation he’s able to get in. But, right now, head coach Mike Riley and his 4-6 Husker team are expecting O’Brien to get the start. O’Brien got his first real game experience during the second half against Minnesota, where he completed 12 of his 18 pass attempts for 137 yards. The highlight of O’Brien’s day had to have been the 21-yard hook up from him to wideout Stanley Morgan Jr. on fourth-and-6. Morgan tip-toed the sideline and O’Brien dropped the ball right in over Morgan’s shoulder and away from the Minnesota defender. “Everyone can see he’s got a big-time arm and can make some of those big-time throws,” Riley said. Once the third-year head coach announced Lee was questionable for Saturday’s game, the conversation became dominated by O’Brien’s preparation and how him being the man under center instead of Lee changes things. Offensive coordinator Danny Langsdorf said after the loss last Saturday that O’Brien is a smart kid, but he did have to be more cognizant of his play-calling knowing he had gone from 29 career starts to zero. Still, Riley said he was impressed with O’Brien’s performance, that it’s a tribute to the growth he has shown since his arrival on campus two years ago. “I think Patrick has had the benefit of time being in the room,” Riley said. “I think Patrick has really stayed the course as far as his work [in the] weight room, football meeting room. I think it’s kind of natural growth for a kid that has redshirted and then come into a backup role at a pretty young age. To be the No. 2 quarterback is pretty decent shape for a guy positioning for the future, I think he’s been working towards that. 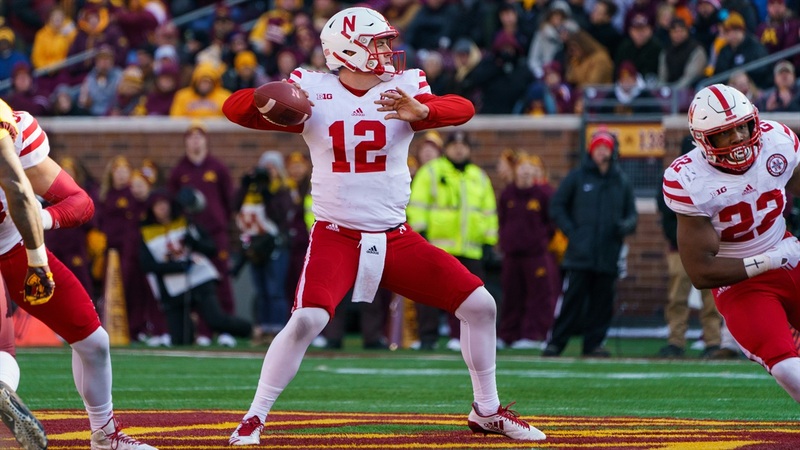 O’Brien brings a slightly different look to the quarterback position than Lee, one more in line with what Riley had at his disposal with dual-threat quarterback Tommy Armstrong Jr. during his first two years. O’Brien isn’t Armstrong in skillset, but he does possess the ability to escape the pocket and pick up yards with his legs more than Lee. If you take away the six times O’Brien was sacked and the 41 lost yards as a result, he picked up 41 rushing yards on five carries. That would have led all Nebraska players. Junior Devine Ozigbo ended the game with 37 yards on 10 carries while Mikale Wilbon had just 28 yards on 10 carries. Still, don’t expect Nebraska to dial up any extra designed quarterback run plays against Penn State. And Riley is doing everything he can to get O’Brien as up to speed as possible. It’s why he called all three of the Huskers’ timeouts in the last 30 seconds of a game that had already been decided. Even though it was an unpopular decision, he acknowledged Monday, he did it for a reason. >> Along with Lee’s injury news, Riley also announced linebacker Luke Gifford will have season-ending hip surgery later this week and wideout Conor Young will miss the Penn State game with a high ankle sprain. Riley said safety Aaron Williams (neck), tight end Connor Ketter (back) and tailback Jaylin Bradley (ankle) are all probable. Williams is expected to practice Monday and Riley said the main issue with him will be first contact. He also said linebackers Chris Weber (stinger, neck) and Dedrick Young II (back) and nose tackle Mick Stoltenberg (knee) are dealing with nagging injuries but are all expected to play. Riley isn’t making excuses about the injuries this team has dealt with this season. “The injury situation is kind of football,” he said. >> Last season, holder Zack Darlington was an emergency quarterback. He had played the position in high school and the Huskers used him late when injuries forced their hand. Riley said they are looking at doing something similar this time around if Lee can’t go so as to preserve Tristan Gebbia’s redshirt. Walk-on Andrew Bunch would be the primary backup for O’Brien if Lee is out, but Riley wants to make sure they have another option available in that instance. >> Riley touched on the Huskers’ defensive breakdowns against Minnesota saying they boiled down to two things: tackling and getting beat to the edge. “We had opportunities to sometimes make a tackle and didn’t complete the tackle and then on some of them, we were committed with a lot of people to stop short-yardage for instance, one guy misses a tackle and there wasn’t much left,” he said. “You’ve got to make plays. Riley said he could give a quick summary of how the game went by looking at two numbers: rushing yards (the Huskers gave up 409 and only had 69) and explosive plays (Minnesota had 15, 12 on the ground, and Nebraska had nine). >> Riley said they’ve been pleased with how center Cole Conrad has played in relief of Michael Decker, but Riley admitted he expected the offensive line to be further along than they currently are. Riley pointed to the top teams in the conference like Ohio State – who just scored 49 against a good Michigan State defense – and Wisconsin that can score points in bunches when they need too. He said that’s not the Huskers right now and that’s an issue. In terms of what they can do to try and mix things up this week to provide something fresh, Riley said right tackle David Knevel, who began the year as the starter, is being discussed at other positions along the line, possibly in the interior. >> Riley said he isn’t concerned about a perceived lack of effort on the part of his team. “I don’t think of our team that way,” he said. “I don’t want to be blind to it either. I think that the way this season has gone, when you open a game with a kickoff like that, there might be some fragile parts.